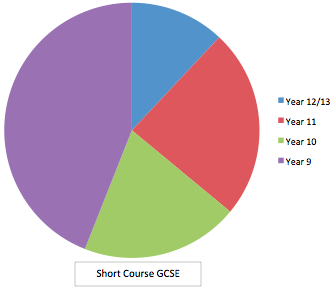 *Pupils gaining thresholds prior to DfE discounting. Pupils used these qualifications to gain access to further and higher education. **Pupils gaining thresholds after DfE discounting due to early entry. Woodeaton Manor School prides itself with ensuring that all pupils regain a positive experience of education. To help achieve this all pupils have access to a wide range of external accredited qualifications at various stages in their time spent with us. These qualifications vary in challenge and when completed they foster a real sense of achievement and reinforce a ‘can do’ attitude. To support the ‘can do’ attitude we always seek to take the advantage of ‘blended accreditation’ ’ opportunities as and when they arise across a wide range of curriculum subjects. This in turn means that as our pupils move up through the school they become better equipped and more prepared to tackle the higher level accreditation. It is acknowledged that, due to changes in the performance measures, opportunities for early accreditation are significantly reduced. 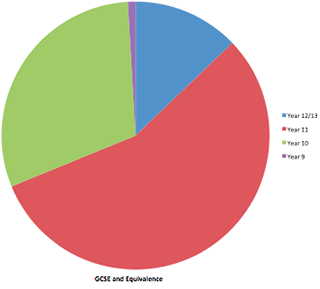 Examinations on offer vary depending upon the cohort and need. The examinations listed here are generally in increased order of challenge. 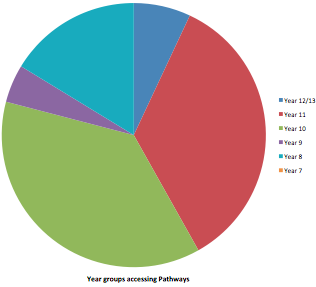 Historic and current accreditation pathways are set out below. 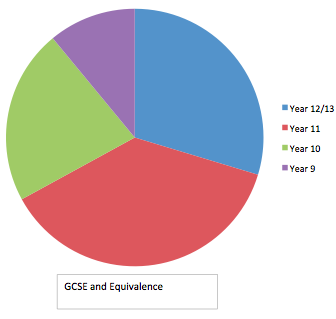 By adopting and extending the philosophy above we are able to identify pupils that would benefit from early entry to GCSE. 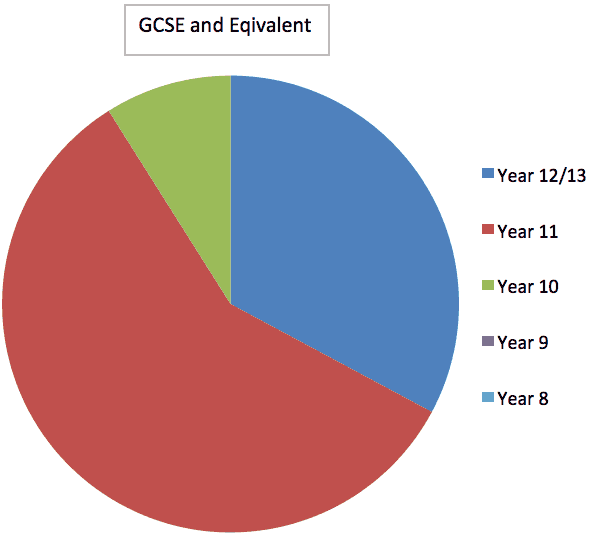 Decisions relating to early entry are multi-professional judgements and determine when the ‘best’ opportunity exists to allow the pupil the greatest chance of succeeding at the highest level. To assist in any decision, judgements are made on the level of Tier Support a pupil requires as they move through the school and their Readiness to Learning status. From 2017/2018 no pupilas are to be considered for early entry. New national performance measures now reflect an individual schools progress against all schools nationally. 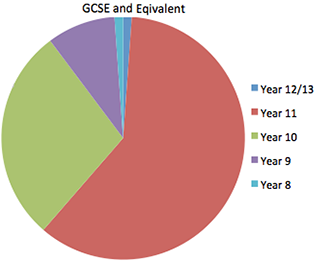 This is done by averaging all the pupils actual progress for a broad range of subjects based on their prior attainment at KS2 and comparing it to all other schools. 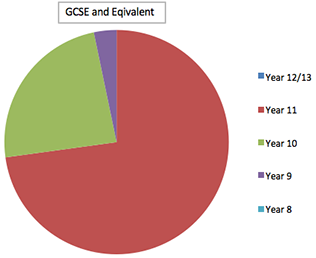 The average number of GCSE’s entered per pupil in 2016-2017 was 6.9. 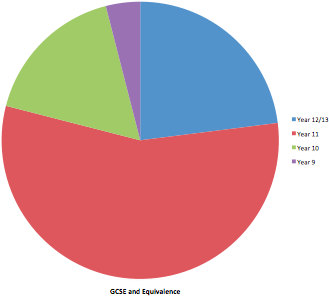 For all the GCSE’s entered the following table provides a comparison of all our pupils’ attainment compared to the attainment of all pupils nationally. The data is provided by the Fisher Family Trust. Further information about the Fisher Family trust can be found at. with the same prior attainment. The following tables show the range of accreditation successfully achieved by our pupils in different year groups for 2015-2016 only. The following tables show the range of accreditation successfully achieved by our pupils in different year groups for 2014-2015 only. The following tables show the range of accreditation successfully achieved by our pupils in different year groups for 2013-2014 only.